Once again Vidya Balan is seen in a space that might be new for the audience but was a cake walk for the actress who has a good experience in playing challenging roles. Srijit Mukherji has re-crafted his Bengali flick Rajkahini that had hit theatres in 2015. Begum Jaan, played by Vidya, is a proud owner of a massive brothel during the pre-independence period on the outskirts of Punjab, India. In the year 1947, Sir Cyril Radcliffe drew the line to divide one nation into two new independent states – India and Pakistan. 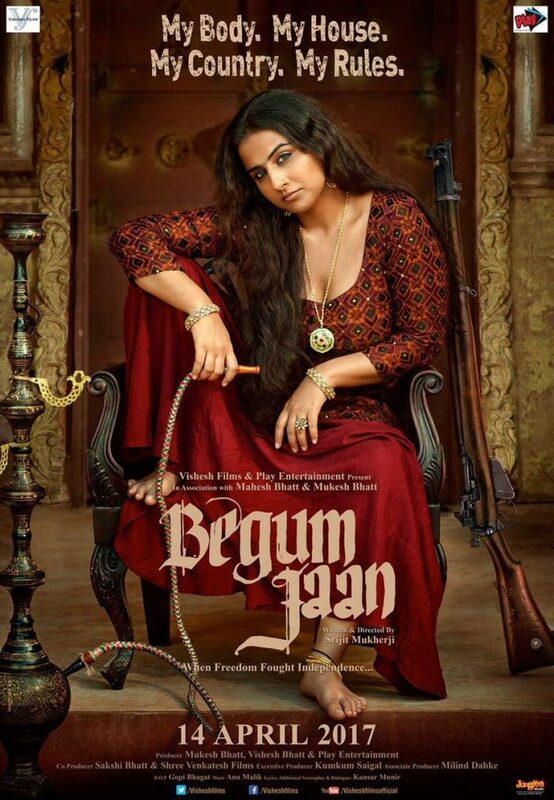 But as the line is drawn, it passes through Begum Jaan’s brothel, she refuses to leave her house despite pressures from officials from both the countries. Begum Jaan’s brothel does good business, as it is frequently visited by people from nearby villages and towns. The prostitutes at the brothel are visited by ordinary people as well as top officials. The entire movie is a battle between Begum Jaan and the officials. There are many factors in the flick that will remind the audience of the old films. The makers have well executed the entire feel of the movie with the concept of a brothel with ladies that speak foul language and are ruled by a proud and crude woman. The makers indeed had a great plot but stuffing of too many characters worked towards diluting the importance of every character. Vidya is hands down, one of the finest actors we have, but her talent here was surely wasted. Other girls in the movie – Gauahar, Pallavi and Ila Arun did their best, but failed to make an impact. It has a powerful climax but cannot be said of the movie lives up to the expectations of the audience. Previous articleSalman Khan leaves for Dabangg Tour with Bipasha Basu, Sonakshi Sinha and other celebrities!